Los Angeles, CA (Oct. 2018) – The Arroyo Arts Collective (AAC) invites the entire Northeast Los Angeles (NELA) community to experience an assembly of artists, ranging from emerging to well established, including fine artists and craftspeople, to congregate at AVE 50 STUDIO for an exhibit opening on Saturday, November 10, 2018 as part of the NELA Second Saturday Art Walk. 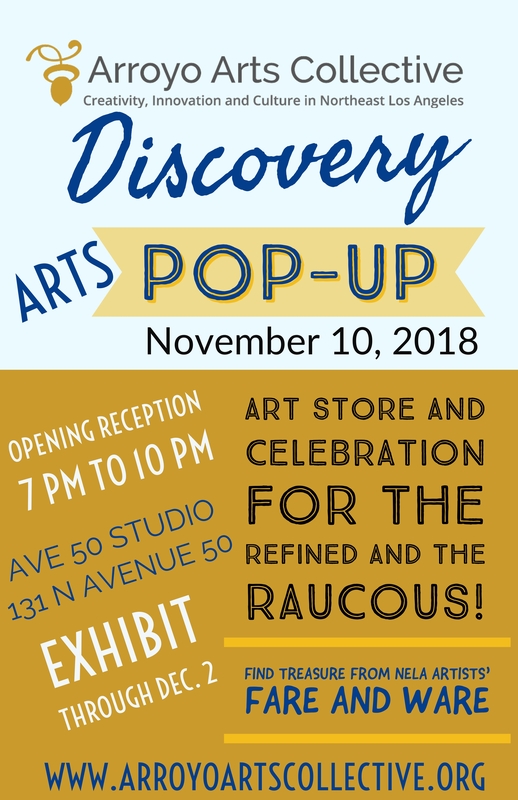 We are calling this celebration of art, the Discovery Pop-Up. Exhibition Dates: November 10 through December 1, 2018.